Here at Cordcutting.com, we're huge fans of free over-the-air TV. But free over-the-air TV won't do you any good unless you can get the right antenna, set it up, and get clear reception from your local TV station. That's easy enough to do, but everyone could use a few antenna tips – especially when things go wrong and it's not clear why. Below, we'll lay out a few of our favorite antenna tips. This list focuses more on indoor antennas, but many of the tips will apply to outdoor antennas as well. We've divided things up into sections: Antenna Tips for First-Time Buyers, Antenna Tips for Setup and Use, and Antenna Tips for Frustrated Troubleshooters. Feel free to read through them in order or to skip to the section with the tips you need! If you're looking for antenna tips, odds are that you don't have a working antenna in your home right now. And if you don't have a working antenna in your home, well, you probably haven't done this before. That's okay – there's a first time for everything! Here are some antenna tips for the antenna newbies. Know your local channels. What do you want to watch? Where are your local stations? Checking one of the many handy online tools can be a great way to start out your research process. Use the FCC tool, the one on AntennasDirect.com, or the one on AntennaWeb.org – it doesn't really matter which you use, because they'll all give you the same information. Look for the stations you want to pick up and check out how far away they are. Boom: now you know how much range you need on your antenna. City dwellers have a bonanza of free over-the-air TV – as long as the skyscrapers aren't blocking reception. This screenshot is from the FCC tool. Get a slightly nicer antenna than you need. So your FOX station is 14 miles away? That's great – you can get a 15-mile antenna, then, right? Well, you could, but keep in mind that antenna companies aren't necessarily being the most humble about their antenna ranges. And with weather, interference, and other factors, you may find that your antenna's “15-mile range” gives you a rather choppy feed of a channel that's 14 miles off – or that it can't find it at all! With antenna prices being as reasonable as there are, it never hurts to add a bit of mileage when you're shopping. You don't need to go crazy, but it's better to have an antenna that's too powerful than one that's too weak. Shop at a store with a good return policy. Part of the point of deciding to switch to free over-the-air TV and cancel cable is to save money. So it's no surprise that some of us are turned off by the idea of investing in an antenna. What if it's the wrong size? What if it doesn't work? What if we're not able to set it up properly? We have troubleshooting tips below, but you might as well put your mind at ease and just go to a store with a great no-questions-asked return policy. Plenty of big box stores and online retailers offer policies like this, and it makes getting an antenna pretty stress-free. So you've bought your antenna and you're ready to get started here. That's great! But this is the moment where you can make or break your antenna experience. You can have an antenna up and running in minutes – or you can forget some crucial step and can end up confused and annoyed. We're here with another round of antenna tips to make sure it's the former. Plug your antenna into the coaxial jack. Sure, you know this, but we're just making sure. 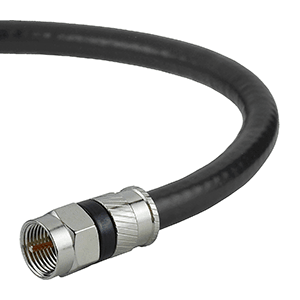 The coaxial jack is very standard on TVs, so yours is sure to have one. Attach the other end of the coaxial cable to the antenna if it isn't already. If your antenna has an amplifier, connect it between the length of the cord and TV and then plug it on in. This is what a coaxial cable looks like, by the way. You may or may not have to screw the little nut onto the threaded jack on your TV. Don't forget to scan for channels! 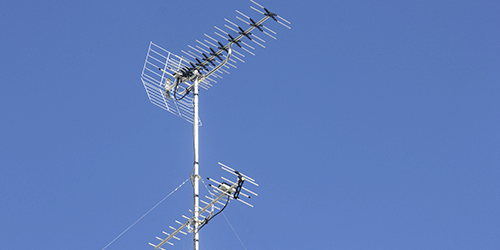 One of the most common mistakes people make in setting up a new antenna is to forget to scan for channels. This is something you'll do within your TV's menus. Your TV is going to use the antenna to look for channels, and then it's going to memorize where those channels are so that you can flip between them. 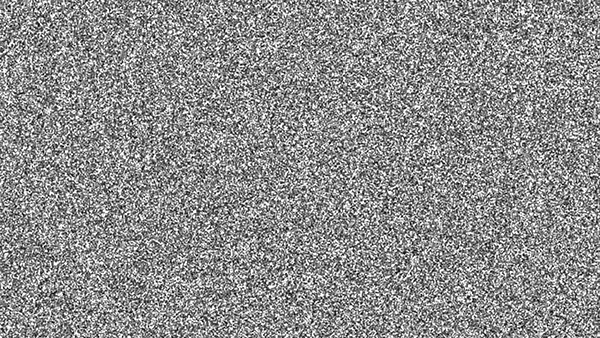 Skip this step, and you'll get nothing but static. So how do you do it? It will vary a bit depending on your model of TV, but you're basically going to hunt in your TV's menu for an option that says something like “channel setup” or “scan for channels.” Try looking for a MENU button your remote, hitting it, and then searching within “settings” (or whatever menu section seems closest to “settings”) – there's a good chance the scanning function is in there. Scan under good conditions. Lots of things can affect your antenna's reception. So when you scan, try to do so on a nice, clear day, as weather can have an effect (however small) on your reception. If you scan under great conditions, you'll get the maximum number of channels you can reach. Scan under poor conditions, and you won't even know those channels are there. Keep in mind that you can always scan again whenever you feel like it. Try multiple spots for your antenna. Some things that affect reception – like electromagnetic waves bouncing off mountains and buildings – are beyond your control. But you may be able to find a sweet spot up on your wall where these factors aren't as big of a deal. You're already on your feet and goofing around with the antenna, so now's a good time to see if you can maximize your reception. Try a few different places and see if you can find more channels (or get clearer reception) in one compared to the others. Higher is almost always better. Remember to scan for channels anew each time you move the device. Get it right now, and you may not have to read the next batch of antenna tips – which are here for you if something goes wrong! Oh, boy. You bought the new antenna, you did everything right, and the stupid thing still doesn't work. Fear not: we're closing out this article with one last batch of antenna tips, and these are designed to help people in your exact situation. Let's focus your fury and get some better results. Make sure you scanned for channels. Hey, did you scan for channels? Sorry, just checking – but this is a really common mistake! If you forgot, now's the time to do it. For a crash course in scanning for channels, just check the “Don't forget to scan the channels” item on the middle group of antenna tips in this very post. Make sure you're on the right input. 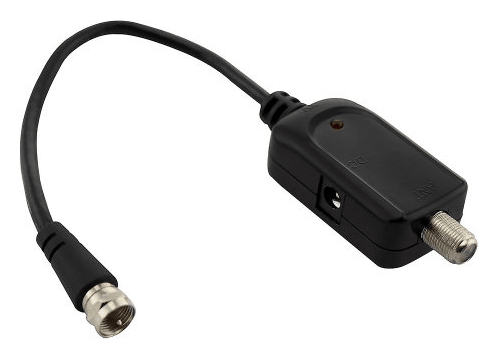 It may be something like “TV” or “cable” or even “antenna.” It's definitely not “HDMI” or “VGA” or most other weird acronyms – those are other types of inputs, and we're using the reliable old coaxial jack instead. You may be able to find the input's name printed on the TV next to the corresponding jack. Make sure your TV has a digital TV tuner. In 2009, we switched from analog to digital over-the-air transmissions. You don't have to know what the heck that means, but you should know that it had two big consequences: it made it possible to send HD TV over the air, and it rendered old analog TVs obsolete for the purposes of free over-the-air TV. Remember those old radio ads telling folks with antennas that they could get coupons for a “converter box?” Yeah, they weren't kidding. So if you're trying to use your antenna with a prehistoric TV and don't have a converter, you're not going to have much luck. If this is your situation, you'd be wise to invest in a new TV, which will give you that sweet, sweet HD picture – and will, you know, actually work with an antenna. Mess around more with antenna placement. If your antenna seems to be sort of working, but just isn't getting the reception or range you want, you should try some different placements. Grab some poster tack or something so that you don't have to play Statue of Liberty while your TV scans for channels, and start some trial-and-error experiments. You never know when some weird metal in your wall might be causing an issue, so move things around and hope for the best. You can check out our antenna placement and troubleshooting guide for some more antenna tips on this subject, but don't be afraid to try unconventional spots – you never know what sort of weirdness might be going on in your walls or beyond them that could make an impact on reception in one spot or another. Remember to scan for channels in new spots to really test them out. Boost your reception with an amplifier. Let's say your antenna is working, but not hard enough for your liking. The reception is poor and choppy, and the range is limited. You can either get a larger antenna (and that's certainly a perfectly good option), or you can boost the signal that yours is getting with an amplifier. An amplifier does just what it sounds like it does: it boosts the signal your antenna picks up. It technically won't increase the range or allow your antenna to pick up any new signals, but it could boost an itty-bitty signal to help catch your TV's attention during channel scanning, and could make weak, choppy signals from channels you already have smoother and more watchable. Worried about pouring good money after bad? Well, just look back up at our very first batch of antenna tips up there, and recall that most big retailers will be happy to allow you to return amplifiers and antennas (or swap them out for bigger, badder models). One possible look for an antenna amplifier. The antenna's coaxial cable fits on the jack on the right, and the cable on the left fits onto the jack on your TV. The hole in the side of the box is for a power cable. Go bigger. If you're not getting the range or reception you want even with an amplifier, it may be time to upgrade to a larger indoor antenna – or to invest in a big outdoor antenna. Head to the returns department and make the swap. There's a lot of information in this post, but it's hardly an exhaustive list of things you can or should do with your antenna or free over-the-air TV. Luckily, Cordcutting.com has tons of information about antennas and free over-the-air TV. 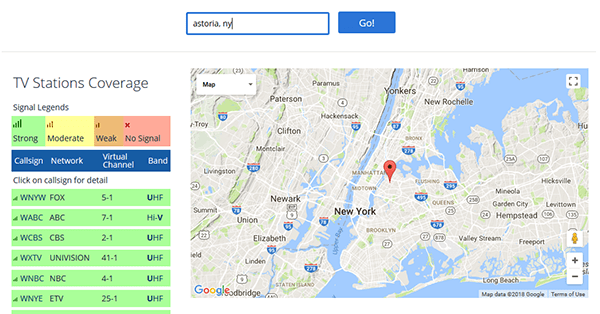 Check out the related articles below, click on the “OTA” and “antenna” tags on this post, search for antennas in our search bar, and follow us on social media for more antenna tips. Thank you, Stephen, for your advice! Most of today’s antennas are designed for UHF as they should be since most stations are UHF. However, the antennas designed for UHF only need to be clear about it in their advertising and labeling on their boxes. Many antennas indicate both UHF and VHF but their VHF abilities are limited. E.g. they may state 30-mile coverage, but that applies to UHF, but not VHF. Transparency and clarity in both advertising and package labeling of antennas still needs great improvement.